PROAVIA, the French Airport and ATC Technology Trade Association has been created in 1976 under the initiative of the Technical department of French Directorate of Civil Aviation as the official representative for the French companies involved in civil aviation and airport development overseas. 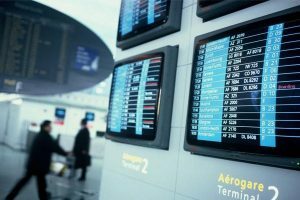 It is the Information Gate for anyone seeking to source in France a supplier of goods, services or expertise for airport terminals as well as for ATC or ramp and maintenance. Its activities are controlled by an elected Board and administered by two full time delegates. Proavia operates as an autonomous organisation under the umbrella of the French DGAC. To gather technical and commercial information concerning international airport projects for its members. What can we do for you ? …. and for free !